In this collection award winning guitarist Stuart Ryan presents 11 beautiful solo fingerstyle guitar arrangements of the traditional music of England, Ireland, Scotland and North America. 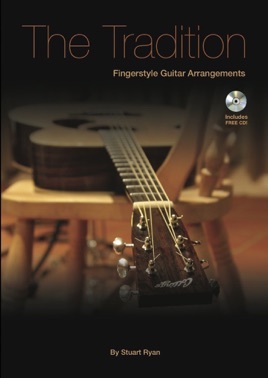 Described as “Essential” by Guitarist magazine these pieces will make ideal study and repertoire pieces for all fingerstyle guitarists of intermediate ability and beyond. The book contains all pieces in tab and standard notation, detailed performance notes and an audio recording of each piece.